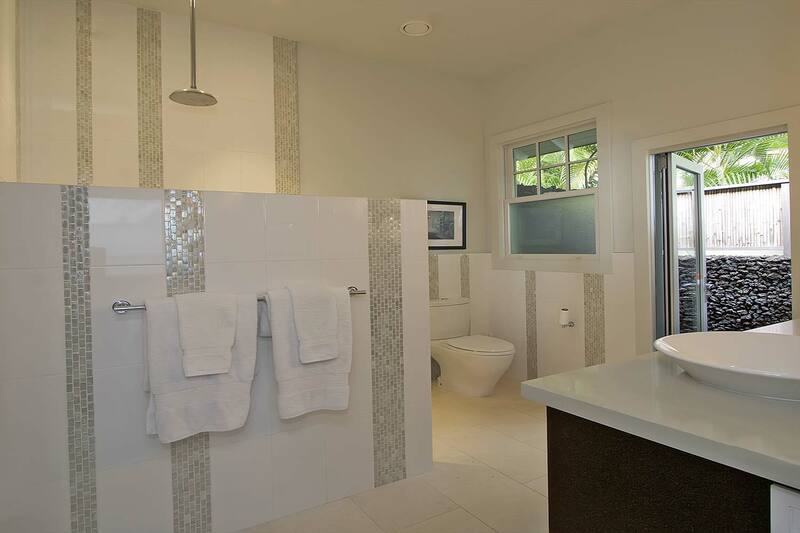 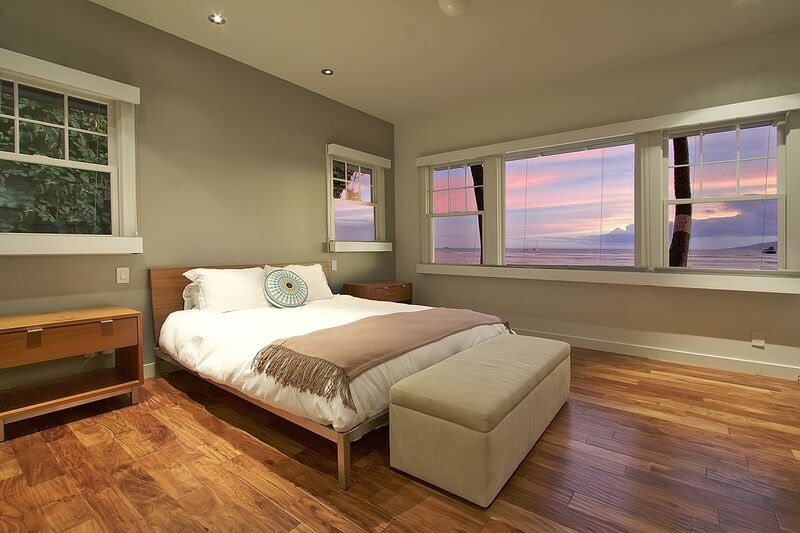 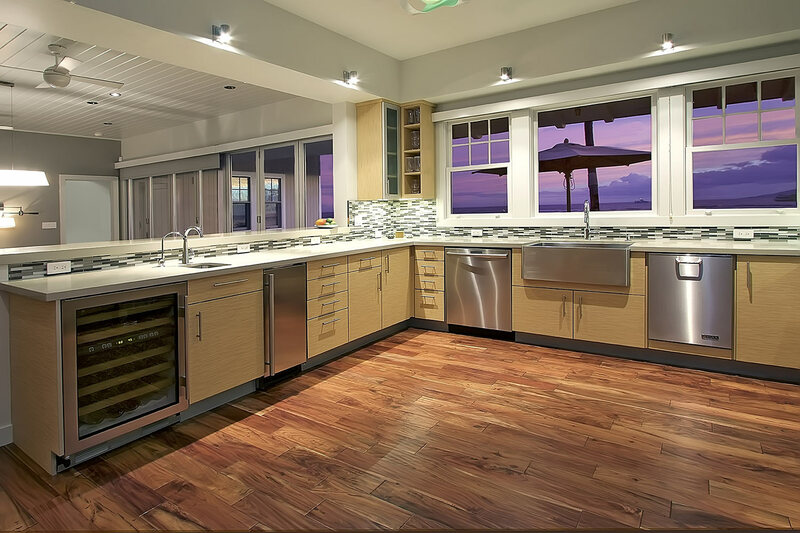 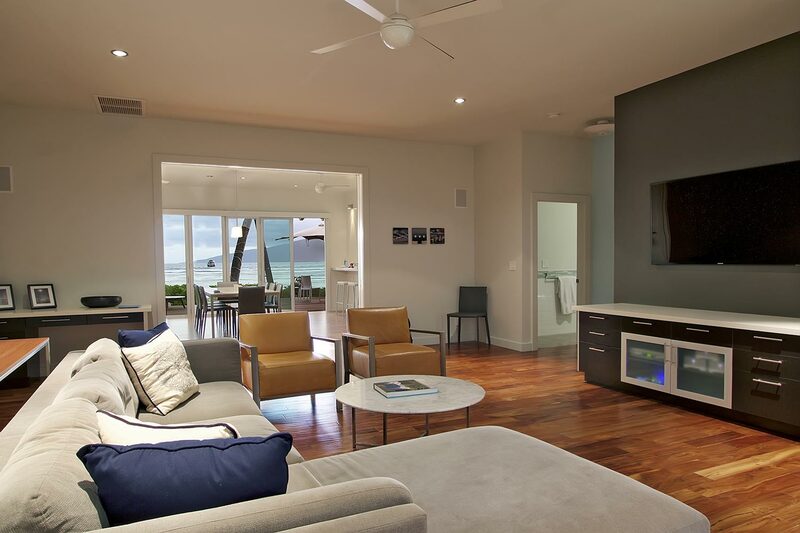 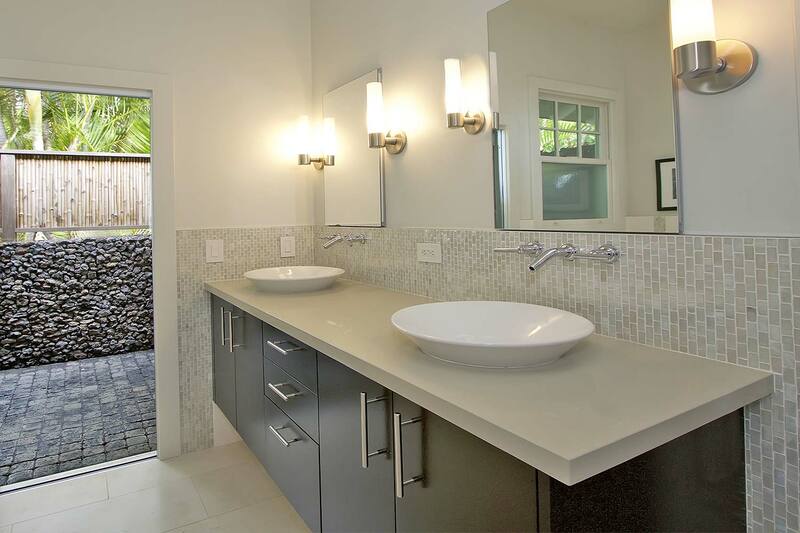 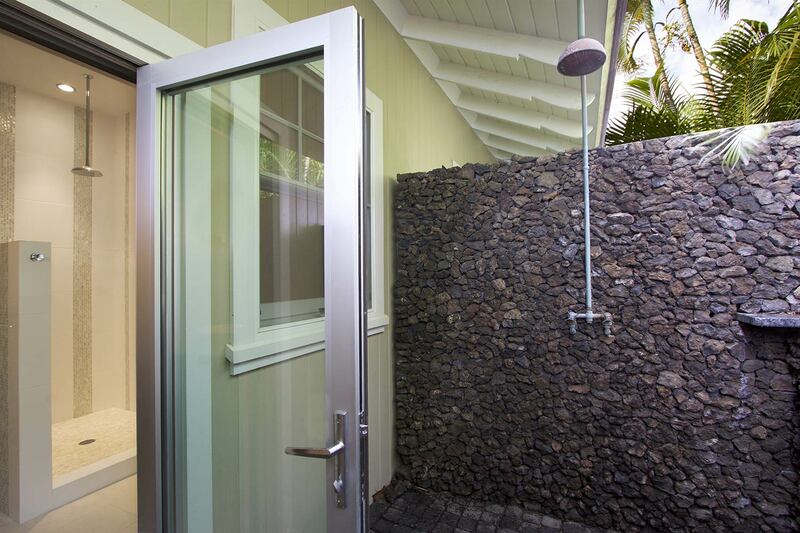 This 1930’s plantation-style home on the west shore of Maui required extensive updating. 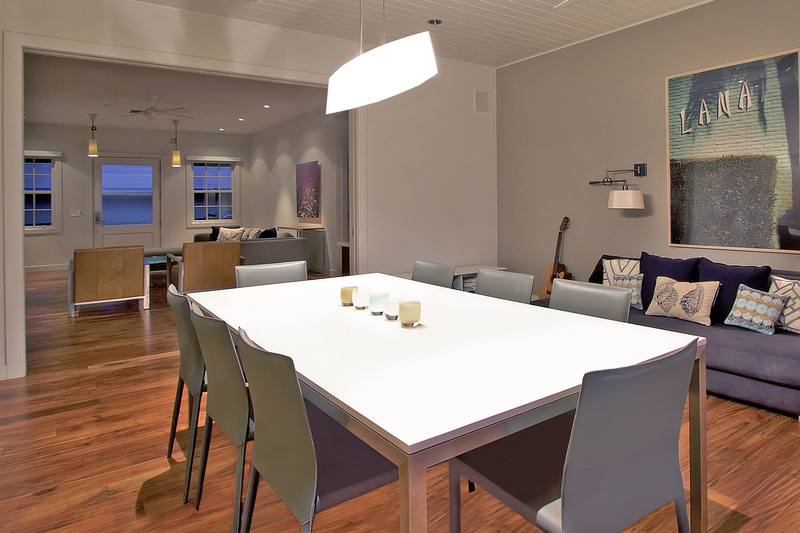 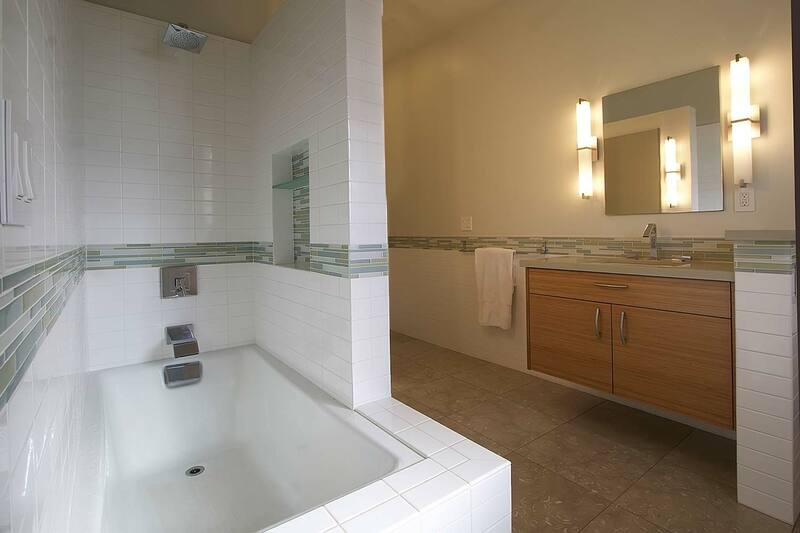 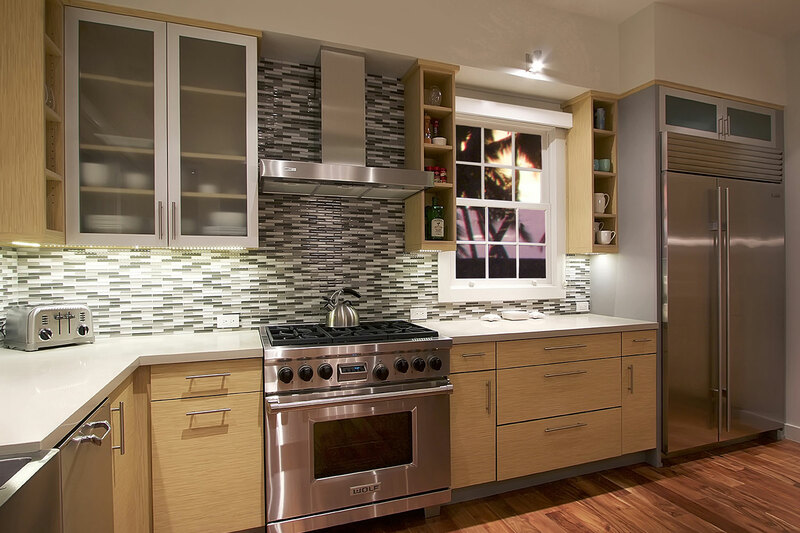 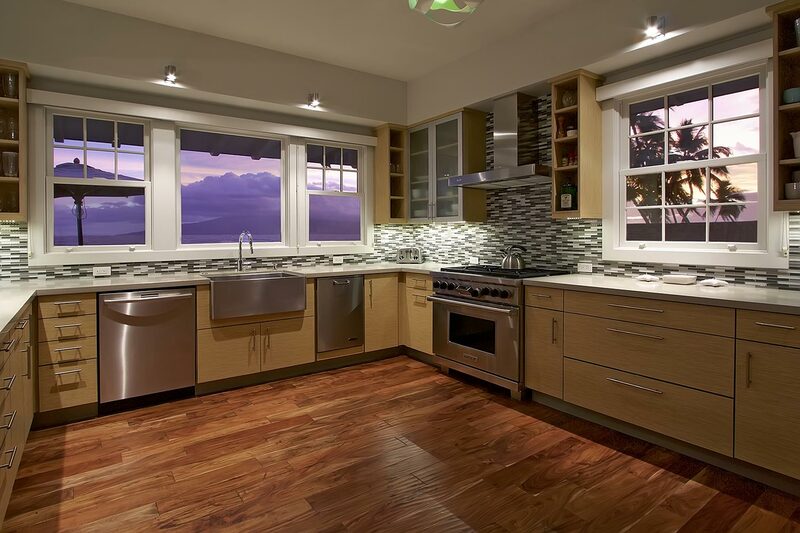 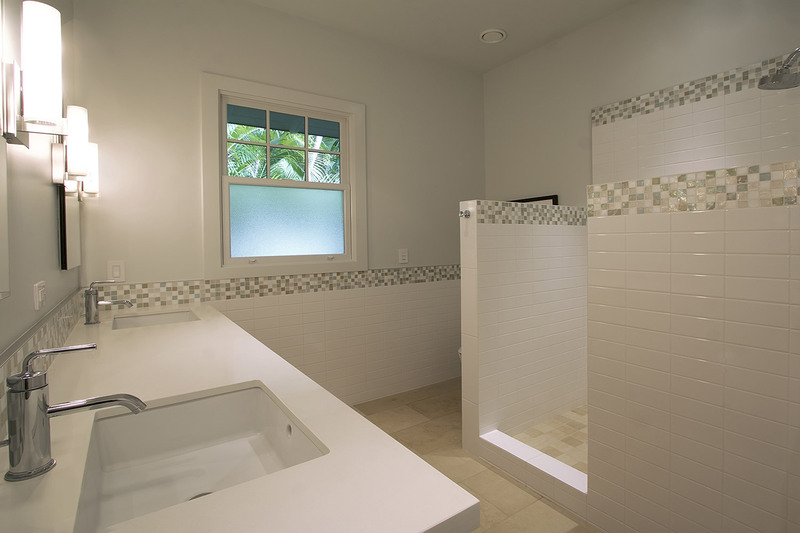 The owners wanted a clean, modern interior while fulfilling a local requirement to maintain the historic exterior. 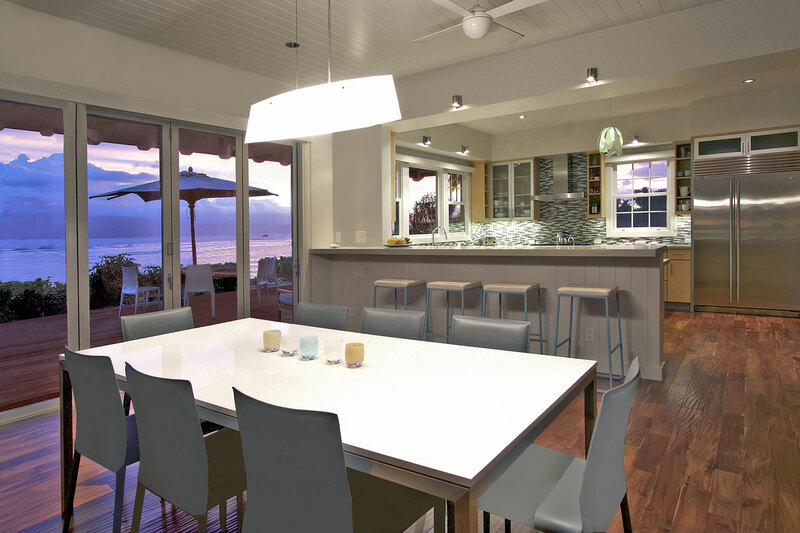 An exterior Lanai (or porch) was enclosed with an 18’ glass bi-fold door, maintaining an open, indoor/outdoor connection to the rear deck and beach. 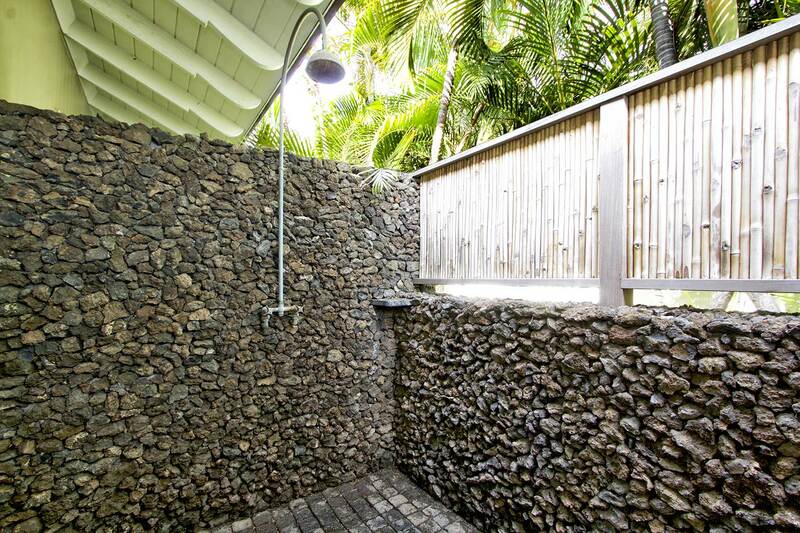 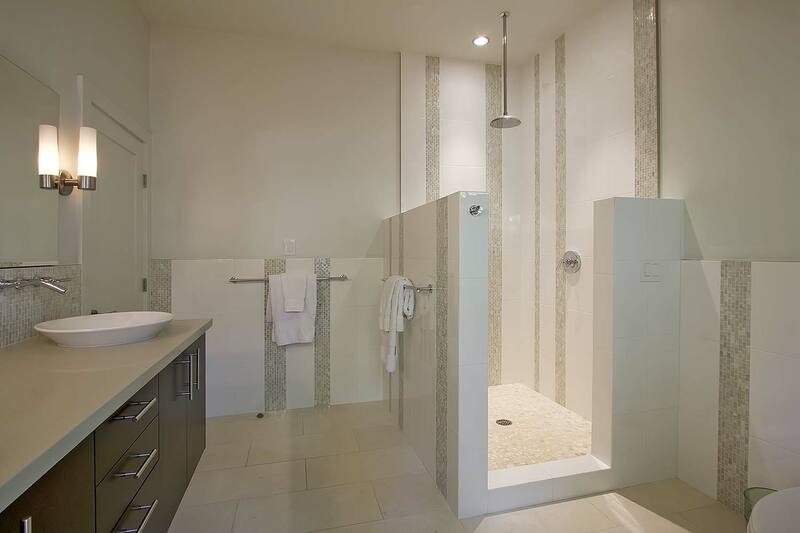 An enclosed outdoor shower–created just outside the master bath–allows for a relaxing transition from the beach to the house.